This section is reserved for a brief bio on R.O.E Blaze athletes who have displayed outstanding resilience through an unwavering effort to train, compete, and execute at their highest level dispite odds and opposition. 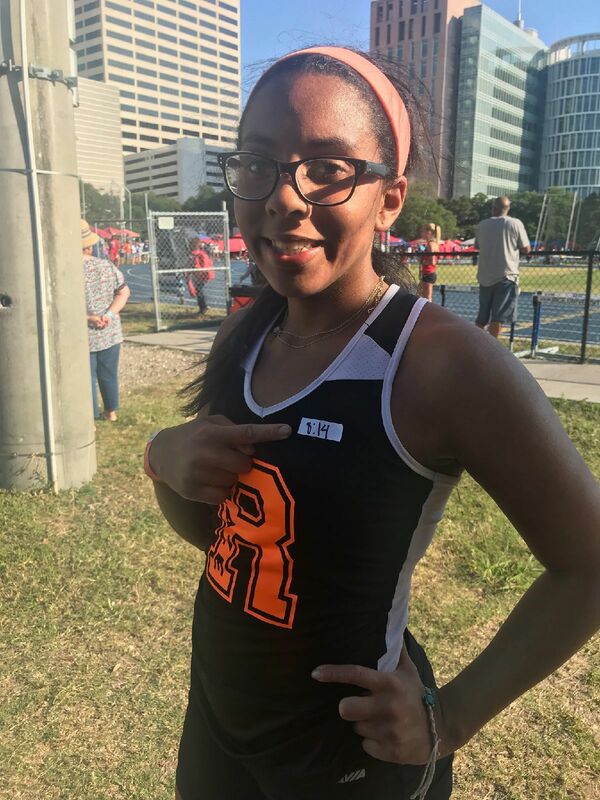 Alexis Burns competed at the Carl Lewis CL Stars track meet this past weekend at Rice University and showed the #onpurposewithpurpose attitude in the 1500m run. From day one Alexis has embodied the resilience and determination that has moved the pulse of every Roe Blaze family member. Combining sheer will and technique, Alexis is living a message to never give up and never be satisfied. Life is not about finding out who you are; it's about creating who you want to be. Stay obsessed with improvement Alexis Burns. YOU'RE OUR ATHLETE OF THE WEEK!!!! Conor at age 12 burst on the scene in at the Carl Lewis Invitation in front of a massive crowd at Rice University. 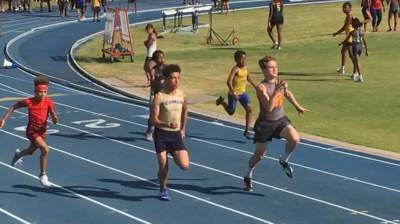 He competed and place 3rd in the long jump but blazed the field in the 100 meters in a startling time of 12.5 seconds. Conor is a workout worrior who refuses to be outworked at anything and he proved that when heart meets talent it becomes a dangerous combination #onpurposewithpurpose!!!! Sariah Davis is a BEAST of an athlete who is a decorated two time Junior Olympian. 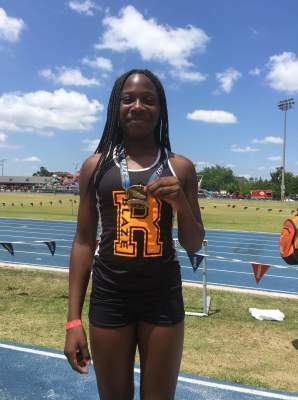 Combining speed, power, and technique; Sariah took home 1st place in the Long Jump at the CL Stars meet that was held at Rice University. Keep grinding Ms Davis. Lets make it THREE junior Olympic appearances!!!!! If you ask yourself what is a copetitor the answer to your question would be Caiden Villaver. This dynamo conquored new territory becoming the first ever Roe Blaze member to compete in the javlin competition. 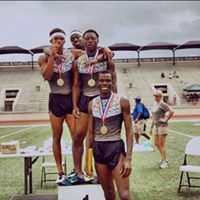 He has proven himself as a sprinter in the 100m, 200m, 400m, long jump, and now javlin. What can't this guy do? We look forwards to more excitement from the Roe Blaze captain in the future #onpurposewithpurpose!! !